Patriarchal social structure based on male dominance causes some problems such as gender inequality in social life, subordinating or silencing women and objectifying them. In this project, it is aimed to examine the effects of patriarchal social structure’s on women’s social lives and to comport the social gender inequality with the elements of women’s lives by considering the effects of patriarchal social structure’s and conditions’ place and importance in societies. In other words, traditional values of patriarchal social structure is seem to be related with the double exploitation on women by considerately continuing it presence in modern social structure, either. In order to collect the data, we interviewed 20 volunteer people (10 of them were women) who are over 18 years old from Büyükçekmece samples. Results which were acquired were analyzed via using frequency analysis method. The result of the data showed that majority of the participants advocated gender equality and the ones who did not show such factors as gender and marital status as their reasons. In order to obtain more findings, researchers who want to carry out similar studies can use different data collection methods such as detailed interview and questionnaires. Key Words: social gender, woman, patriarchy, gender inequality. The post DON’T STAY SILENT! INVESTIGATION OF THE IMPACT OF PATRIARCHAL SOCIETY ON WOMEN’S SOCIAL LIVES appeared first on netWorked Youth Research for Empowerment in the Digital society. 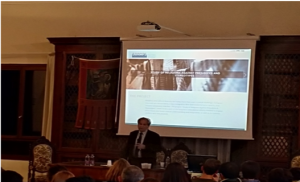 In the school year 2018/2019, two meetings have been scheduled in order to introduce students and teachers to the SORAPS Project. 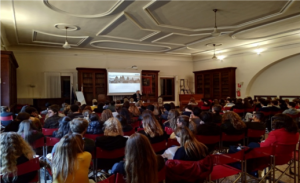 “Marco Foscarini” High School in Venice (Fondamenta Santa Caterina, Cannaregio 4942) hosts both the meetings open to all those who are willing to participate. The first meeting took place on 12 September and the second one will be implemented on 4 December. The agenda remains unchanged for both the days in order to let those students and teachers who have an interest in it decide when participate. The aim of these two sessions is not only to present the entire SORAPS Project and its first outcomes in order to involve other teachers both within and outside the School, but also to share the ideas, themes and arguments which lie at the heart of the project with those students who are not (yet) directly involved in it. It is also an occasion to raise interest in Multiplication Training Activities. 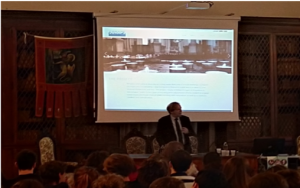 Massimo Raveri from Cà Foscari University and Vincenzo Pace from Padua University give their voices to the project, talking about how religions are a renewed presence in the current times, among new medias and violence. The members of this team, from Tel Aviv Youth University – a project which enables periphery high-school students to have an academical semester in the university, were inspired by a lecture discussing the idea of “The 4 Israeli tribes” – a phrase that was coined by the President of Israel to modify a four groups that Israel is disintegrating into: the ultra-Orthodox, the national religious, the Arab sector and the secular Jewish sector. The young students, Arabs and Jews, religious and secular, who succeeded in bridging the gaps and disagreements – studying and living together – wanted to express the idea that there is another way. The post The “4 Israeli tribes” – tolerance and the cleavages between the Israeli groups appeared first on netWorked Youth Research for Empowerment in the Digital society. 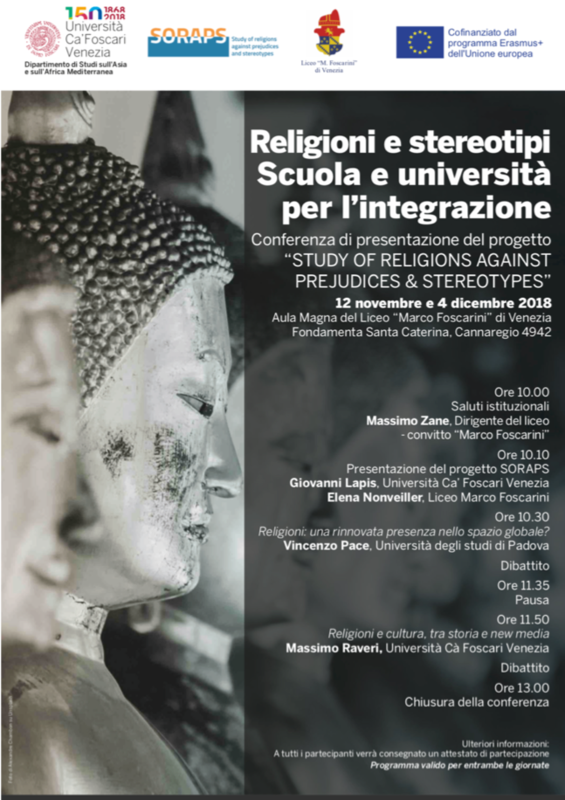 Several analyses and assessments, involving 100 students and 30 teachers from the partner schools, have been carried out over the last few months in order to design the guidelines on stereotypes and preconceptions, which will prove crucial to develop and implement the training activities for teachers. 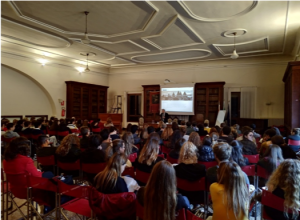 The questionnaires have shown the diversities between the point of view of the trainers and those of the students on the most common stereotypes and preconceptions, as well as on the hot topics in the interfaith and intercultural dialogue. According to the interviews with the teachers, the three main topics to be discussed are Islam, other particular issues such as religious sects and cults, and the Christianity in all its complexity. On the other hand, the analysis carried out on the students’ point of view showed that they would rather discuss religion as such, considering Islam a secondary issue. For further information, please refer to the document “Appendix 1_Summary and comments responses questionnaires”, which summarises the results of the analysis carried out.